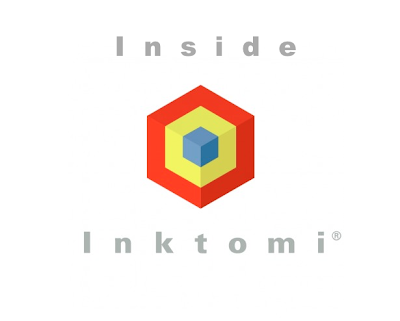 Inktomi was the #1 search engine in the world for a while. When I joined we had just won the Yahoo contract, and were serving search results for HotBot (there is still a search page there!) At first I worked on developing crawling and indexing tools written in C++. Our main goal at the time was to grow our index size, and at the same time to improve relevance. It became clear that as our document base grew, relevance would play a more important role. For ten million documents you may be able to filter out all but a handful of documents with a few well-chosen keywords. In that case any relevance algorithm would do; your desired result would be present in the one and only result page. You wouldn't miss it. For a billion documents however, the handful would become hundreds or thousands. Without a good relevance algorithm, your desired result might be on page 17. You'd give up before getting to it. Yahoo had been complaining to us about not being result #1 for yahoo for a while. We fixed that special case, but we couldn't do the same for many other sites or pages. In 1999 Google was gaining popularity because they were solving exactly this problem. We didn't perceive them as a threat yet, but we did realize that we had to do our own version of PageRank. I was assigned to that task. Despite our relevance being so great, there was one huge red flag: engineers at Inktomi were starting to use Google as our search engine. Our executives tried to stop us from doing it, just like Bill Gates reportedly banned his kids from using Apple products. I thought about why I was using Google myself, and I'm sure it's obvious to everyone now: the experience was superior. Inktomi didn't control the front-end. We provided results via our API to our customers. This caused latency. In contrast, Google controlled the rendering speed of their results. Inktomi didn't have snippets or caching. Our execs claimed that we didn't need caching because our crawling cycle was much shorter than Google's. Instead of snippets, we had algorithmically-generated abstracts. Those abstracts were useless when you were looking for something like new ipad screen resolution. An abstract wouldn't let you see that it's 2048x1536, you'd have to click a result. In short, Google had realized that a search engine wasn't about finding ten links for you to click on. It was about satisfying a need for information. For us engineers who spent our day thinking about search, this was obvious. Unfortunately, we were unable to sell this to our executives. Doug built a clutter-free UI for internal use, but our execs didn't want to build a destination search engine to compete with our customers. Are there any lessons to be learned from this? For one, if you work at a company where everyone wants to use a competitor's product instead of its own, be very worried. If I were an executive at such a company I would follow Yoda's advice: "Do or do not. There is no try." If you're not willing to put in the effort to compete, you might as well cut your losses (like Google did with Buzz, for example).